Muhammad Ali’s Kentucky hometown will honor the late boxer by renaming its airport for him. 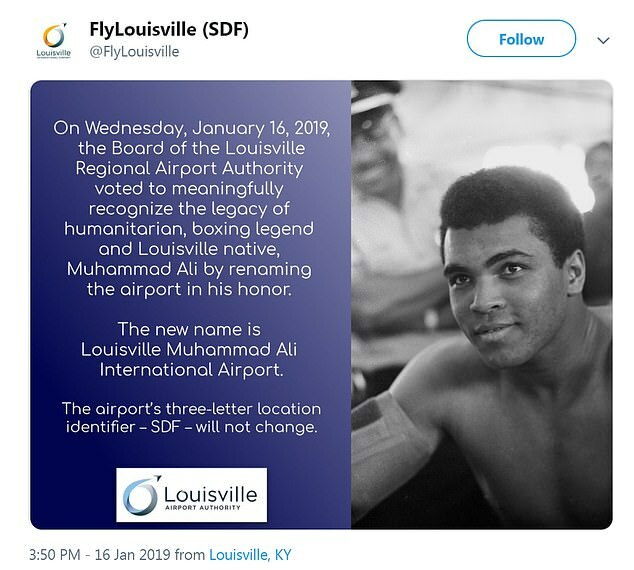 The Louisville Regional Airport Authority’s board voted Wednesday to change the name to Louisville Muhammad Ali International Airport. Born in 1942, Ali would have turned 77 Thursday. He died in 2016. 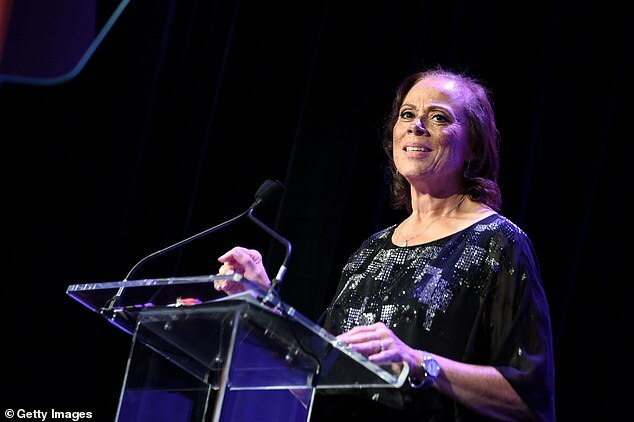 Ali’s widow, Lonnie Ali, said in a news release from the board that she is proud of the name change. 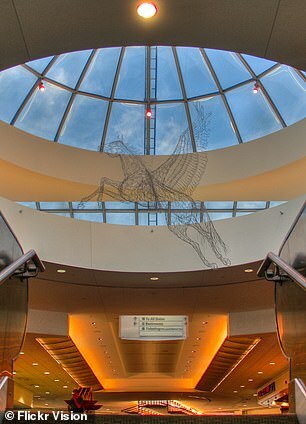 ‘I am happy that visitors from far and wide who travel to Louisville will have another touch point to Muhammad and be reminded of his open and inclusive nature, which is reflective of our city,’ Lonnie said. 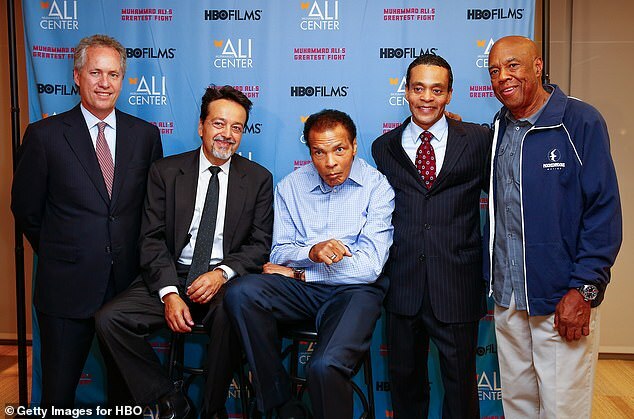 She said although Ali was a ‘global citizen,’ he never forgot his hometown. He shared it’s just one piece of a much broader effort for the place Ali called ‘the greatest city in the world’. With the upcoming Lean Into Louisville initiative, the city will host a series of conversations, presentations, activities and art exhibits to confront the history and legacy of issues Ali faced that are still very much present today. Louisville is also favorite with Bourbon lovers and those attending the Kentucky Derby. But Louisville Tourism has already started marketing the city to fans of the late boxing legend by inviting tourists to follow in his footsteps. ‘Certainly, Muhammad faced discrimination and the impact of inequality, and he wasn’t shy about sharing his views on those challenges,’ the Mayor said. Fischer added: ‘Muhammad Ali belonged to the world, but he only had one hometown, and fortunately, that is our great city of Louisville. Muhammad became one of the most well-known people to ever walk the Earth and has left a legacy of humanitarianism and athleticism that has inspired billions of people. 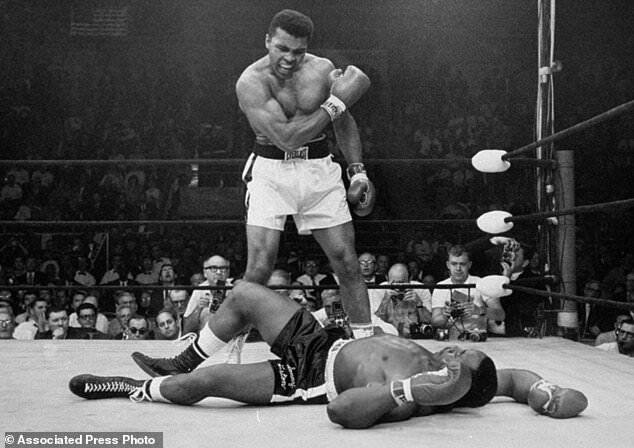 They struck an agreement with Muhammad Ali Enterprises, LLC to use his moniker. Chair of the Airport Authority Board, Jim Welch, said it was ‘a historic day for the airport and our region’. 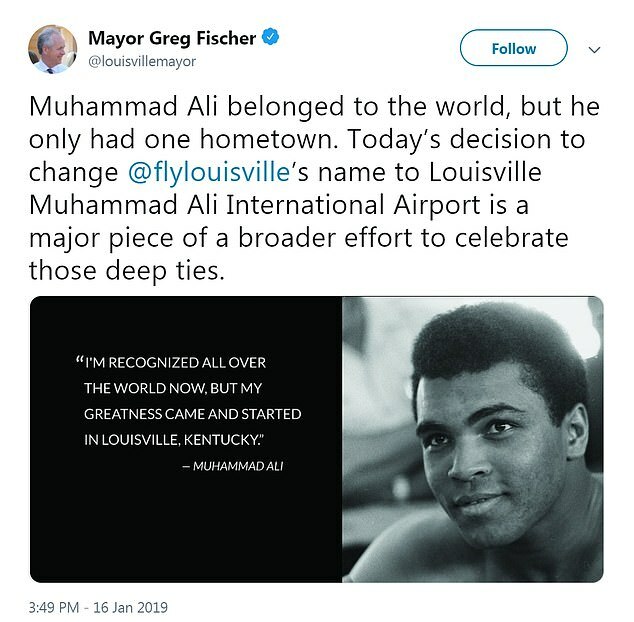 ‘By choosing to rename the airport for Muhammad Ali, a world-renowned humanitarian honored as a United Nations Messenger of Peace and an athlete honored as Sports Illustrated’s Sportsman of the 20th Century, we as a community are honoring his legacy and celebrating this global icon who is a fellow Louisvillian,’ Welch said. Its three-letter International Air Transport Association Location Identifier – SDF – will not change. Kentucky Third Congressional District Representative and Chairman of the House Budget Committee, John Yarmouth, shared his joy at the change. The city recognized the big impact Ali had on tourism when people came from all over the work to see the sportsman’s birthplace around the time of his passing. 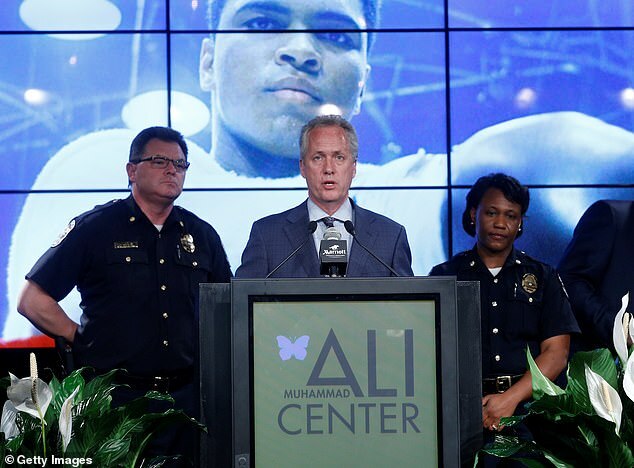 ‘During the week between Muhammad’s passing and his memorial service in 2016, our city witnessed firsthand just how much Muhammad Ali meant to the world,’ Donald Lassere, president and CEO of the Muhammad Ali Center, said. 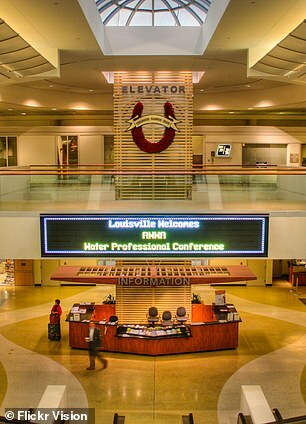 ‘Visitors flocked to Louisville from nearly every region of the globe to pay their respects to their champion.